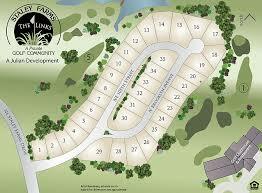 Staley Farms a private golf community located in Kansas City North has just released "The Links". It’s the neighborhood's newest phase of 35 premier golf and lake view home sites. With 9 home sites already reserved it would be prudent to secure yours quickly before springtime flourishes with an increase of consumers ready to make their move. Homes will be priced from the upper $400s to over $1 million. This premium location for golf and luxury living in Staley Farms features an impressive selection of home sites featuring an abundance of walkouts. Golf view and over-sized sites are also available.